Chandra is both bold and daring. 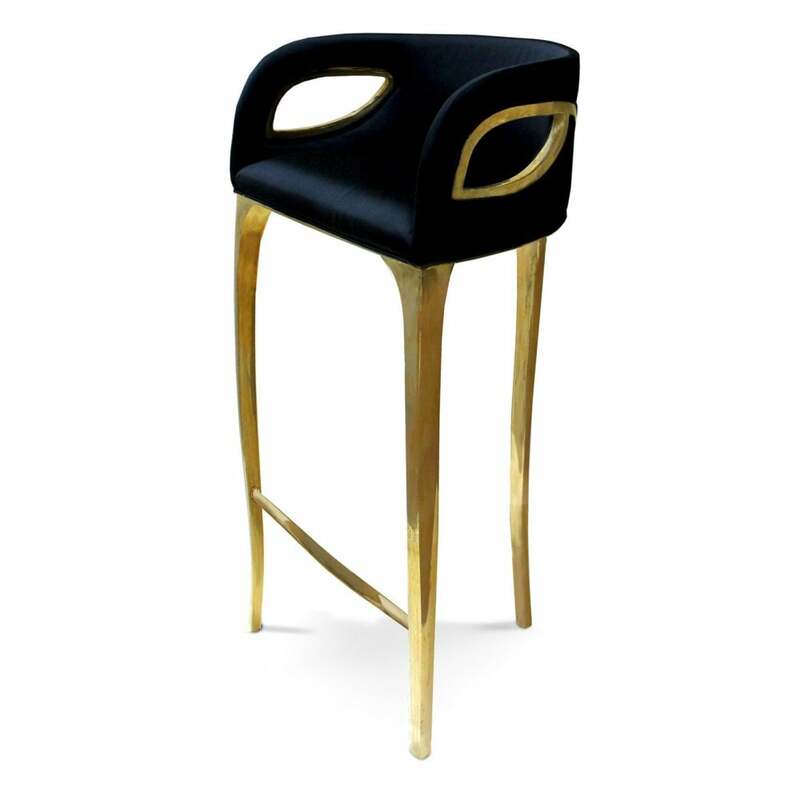 The modern edge in this bar stool exudes the feeling of vintage glam. While polished brass bands delicately bind the bar stool highlighting the sculpted fluidity of the tight back upholstery. Upholstery: KOKET Fabric Collection; or COM (POA). Legs: Polished Brass. Upholstery: Priced for Koket's Cat A Fabric Collection (other options available). Legs: Polished Brass.